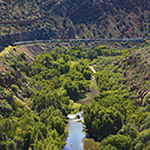 People travel from all over over the world to do this canyon railroad tour, 100,000 people per year in fact, and we’re humbled and honored that the only way to experience this rich canyon is on the Verde Canyon Railroad. 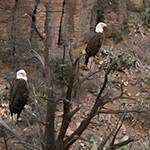 If you think you have seen it all…imagine for a moment that you’re flying on the wings of an eagle, seeing what it has seen—here in central Arizona, nearly unchanged for hundreds and thousands of years, where this unique and protected ecosystem remains unspoiled and rich in geological intrigue. Once home to the Sinagua Indians who made its cliffs a safe haven, the Verde Canyon is truly one of the most remarkable places on this earth. 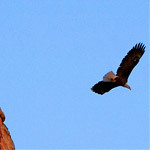 Where still the eagle rules the skies…soaring, as does the spirit of all who see it. Running through the heart of this Canyon is the Verde River—the life giver to millions of beings—where nature still acts out its natural evolution throughout each and every season, giving birth to new life. We invite you to come and see this natural wilderness from your own unique prospective, through all its seasons and in all its natural splendor and wonder. It’s no wonder pioneers were lured to this part of the country. Beyond its wealth of beauty, some saw riches of another kind—copper. It was Senator Clark from Montana who envisioned its prosperous future and purchased stock in the struggling United Verde Copper Mine, located in Jerome. 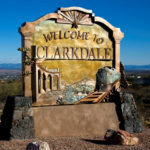 Clark found it necessary to remove the old smelter and rebuild it in the locale that would eventually become the town of Clarkdale. Prerequisite was an efficient mode of transportation to bring the workers and supplies necessary for construction. 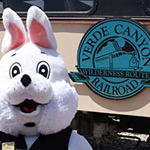 Thus, at a cost of one-and-a-half million dollars, the Verde Canyon Railroad was born. For over a year, 250 men and 250 mules labored to build 38 miles of track between Clarkdale and Drake. Once in place, the railroad hauled workers to build the huge smelter. Later, it would carry out into the world beyond…the Canyon’s bounty of copper. Indeed, copper was king, until it played out. The copper smelters are gone. What now remains an only ghostly remnant of this era gone by. But, the romance and the color of that railroad still runs strong. 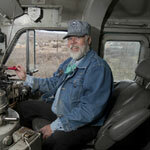 Today, near Clarkdale, just 25 miles south of Sedona, Arizona, the Verde Canyon Railroad hauls a different kind of payload—people. 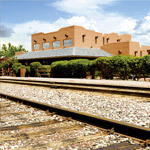 The incredible sights and sounds of the journey remain, complimented today by a host of amenities those first travelers could imagine only in their dreams—beginning first with the depot, complete with gift store, café, and museum. 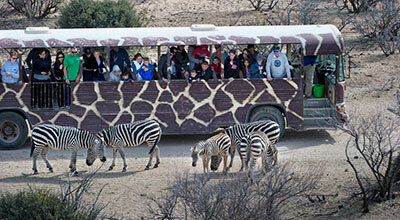 Visitors come the world over to ride this train, eagerly anticipating the wilderness beyond. Pulling us along on this journey are two of the Verde Canyon Railroad’s rare FP7 engines, 2 of only 12 remaining in North America. Traveling along are the Railroad’s engineers and staff. 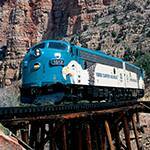 Carrying as their payload—a wealth of knowledge about this train and this Canyon’s colorful history. 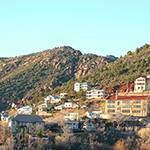 Eight hundred years ago, this Sinagua pueblo was home to the Indian population which once inhabited this area. The site is comprised of 42 acres, including hiking trails (one wheelchair accessible). Visitors are escorted through the various rooms of the pueblo to view this ancient civilization. Images, etched in stone, help tell the tale of their daily life. 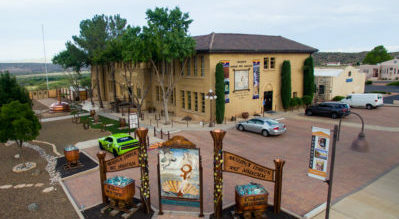 The Arizona-Copper Art Museum is Arizona's newest art museum which is in perfect unity with the former company-town of Clarkdale. Clarkdale was built by Senator W. A. Clark “America’s Copper King” for the mass-production of industrial copper from 1915 to 1953, which was exported throughout the world. 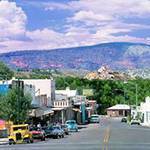 The museum’s collection is the “largest return of copper,” “back” to both Clarkdale and the “Copper State” and showcases what man created with the red-metal while it was away. Over 100 species of birds have been identified in the immediate confines of the Park. 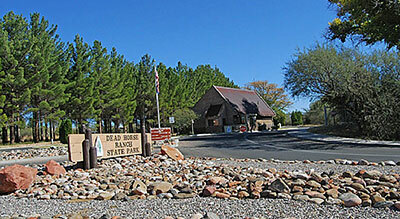 It also has excellent camping and RV facilities, as well as a lagoon which is stocked with rainbow trout from November through March. General Crook’s U.S. Army scouts and soldiers were primarily based at this fort. 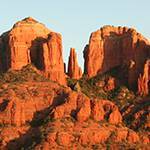 They were charged with squelching Apache and Yavapai Indian uprisings in the late 1800s. Some of the original buildings still remain. 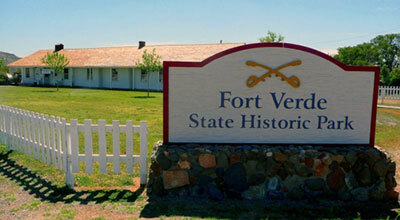 Its officers’ quarters are open to visitors and a museum is located in the old headquarters building. 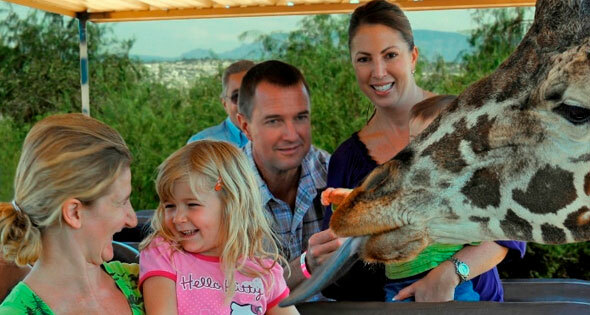 Out of Africa Wildlife Park strives to educate and entertain; to provide an exciting and engaging opportunity to love and respect creation and Creator. It is a place where family and friends gather to experience oneness with animals and each other during safaris, tours, walks, observations and shows of wild-by-nature animals in their own natural splendor. This ancient cliff dwelling dates back to 1150 A.D.. The Castle stands in a cliff recess one hundred feet above the valley. 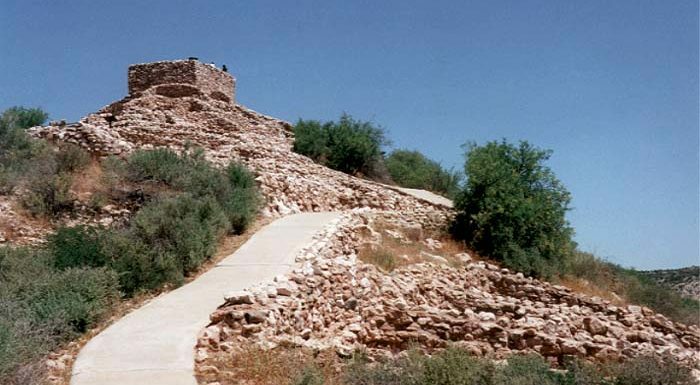 Montezuma Well, also part of the monument, is a natural limestone sinkhole and was an important source of water for the Sinagua Indians. 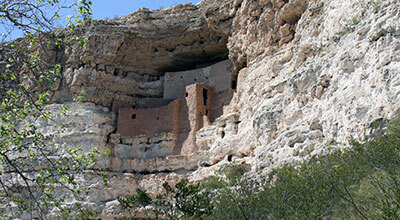 The Castle stands as one of the most well-preserved cliff dwellings in North America. The always fun and famous "Chuckwagon and Western Stage Show. 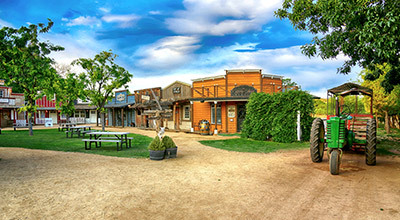 The activities and displays at Blazin' M Ranch will strive to keep you outside but the saloon will call you to sit a spell with your favorite libation. The aroma of dinner will soon turn your attention to the rustic splendor of the dining barn. 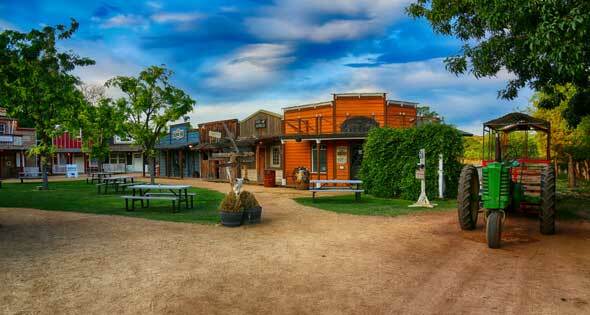 Gates open at 5 p.m. for shopping, shooting, roping and tractor rides. 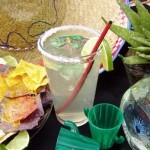 Dinner bell rings at 6:30 p.m. followed by a Blazin' M Cowboy stage show at 7:30 p.m.